One too many days of being unproductive can lead to insanity, and that's what I've been trying to prevent unemployment from doing to me these past few weeks. I have had to be creative in keeping myself entertained or at least occupied. If the activity can get me some exercise without having to do household chores, great. If I can get out of the house without having to spend too much money in the process, even better. 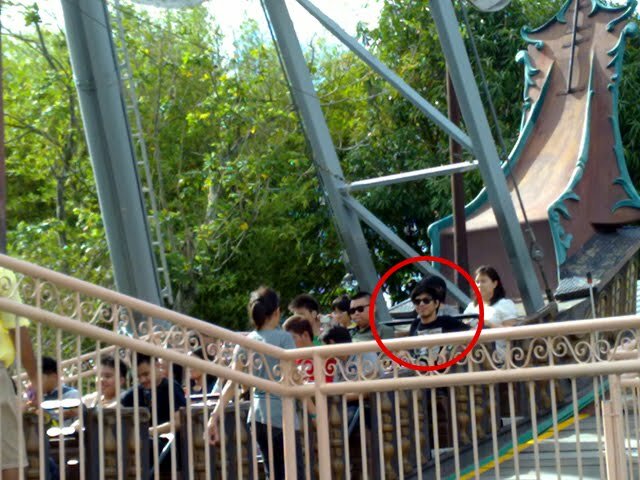 And so it was on March 30th that I went with one of my best college buddies Sieg (who I think is a distant relative of mine as her mom is a Faller) to Enchanted Kingdom in Sta. Rosa, Laguna. 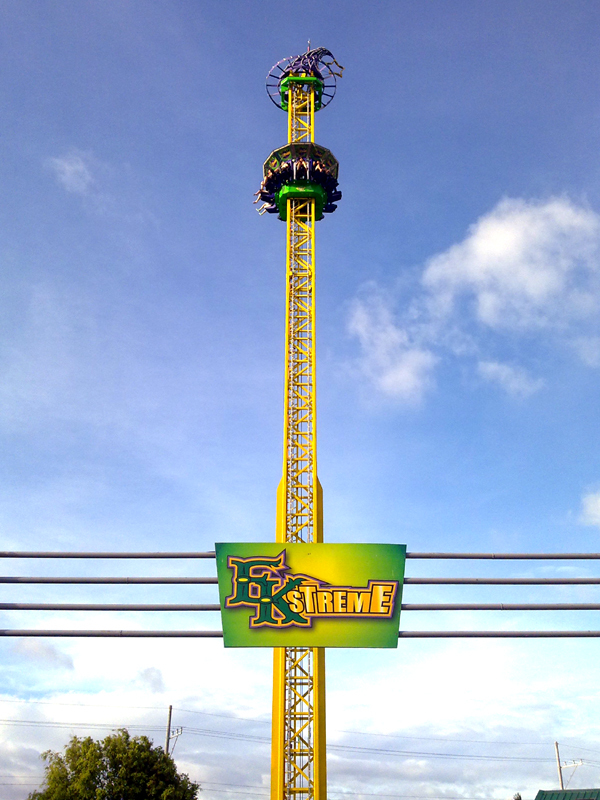 Much to my dismay, however, I discovered Sieg fears extreme rides. So this was me aboard Anchors Away. And this was me aboard Space Shuttle Max (I always referred to it as just Space Shuttle, but it's Pepsi-sponsored, hence the "Max"). You couldn't recognize me in the second image anymore, but no Sieg beside me in both photos (hence the existence of both photos). It so happened that on that day, which was a Wednesday, a whole batch of teenagers from an exclusive secondary school was visiting the amusement park too, so it felt really awkward being surrounded by groups of them while I was in line solo for those rides. 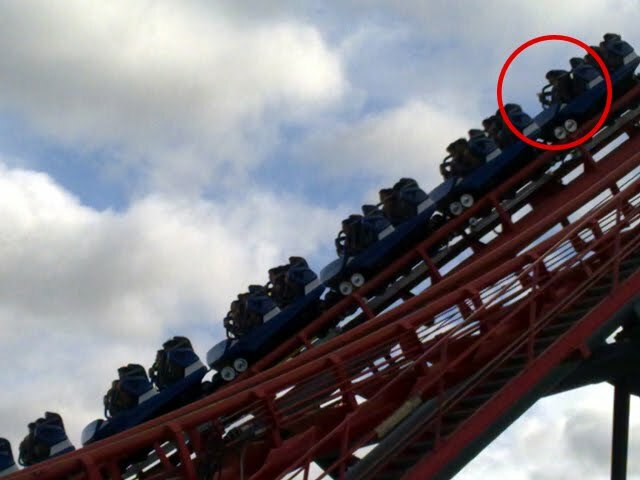 I came up with an excuse for my solitude to the effect that I was doing it for a friend whose dying wish was for me to try the rides alone because he never got to do it. Thankfully, I never had to use that excuse. It was not my first time riding Space Shuttle Max but this time it left me with an aching lower back, and I understood then why they discouraged people with lower back problems from getting on it. We rode Wheel of Fate twice (once while the sun was setting), Roller Skater twice (during both times Sieg, fearing for her life, screamed her lungs out), Rio Grande Rapids once, and to dry off, Flying Fiesta a bajillion times. Both Swan Lake and the Grand Carousel gave me a headache, but the latter was at least fun. Rialto only served to hurt my bum. I didn't dare try EKstreme, Enchanted Kingdom's new attraction, because the line was short, meaning the chances of me having to use my aforementioned excuse there were much higher. At home, immersing myself in books won't do anymore because the most interesting of novels I own I've already read or are simply too thick to endure digesting (i.e. Susanna Clarke's Jonathan Strange & Mr. Norrell). 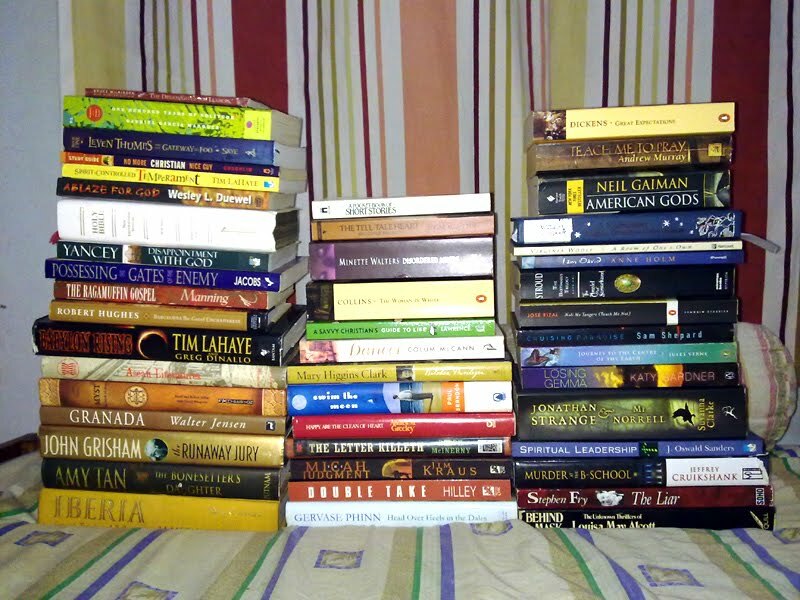 I did use my books to keep me occupied another way though, by sorting them before putting them back in their shelves. 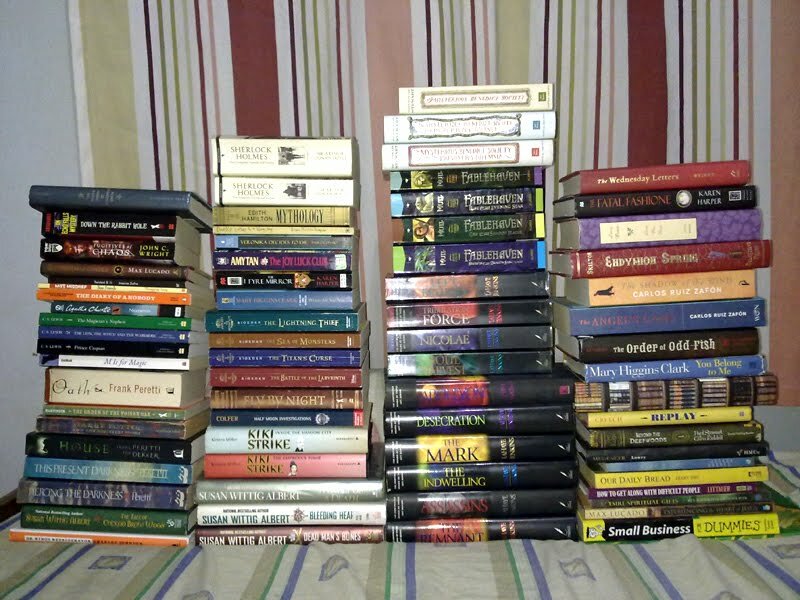 I was quite happy with the ratio of read and unread books because I've been under the impression that I've barely touched a quarter of all the volumes I've been hoarding from secondhand bookstores (mainly Booksale). As much as I'd like to accumulate possessions, I want little to worry about once I finally get my own place, and I wouldn't want to be too devastated if my house was set on fire or a natural disaster struck our neighborhood. Speaking of natural disasters, I think Japan is doing a fine job getting back on its feet. I've been watching all of Detective Conan's episodes online and since last month's combo of catastrophes, the videos' comment sections have been filled with messages wishing the anime series' creator Gosho Aoyama alive and well, simply so the series won't come to a halt. Detective Conan has been ongoing since January 8, 1996, making it the sixth longest-running anime series of all time, and its ingenious treasure hunt codes and murder tricks don't seem to be in short supply just yet. If the quantity of mind-blowing stories were the basis of crime fiction genius, Aoyama would be on the same level as Sir Arthur Conan Doyle and Agatha Christie. So as selfish as it sounds, I do wish Gosho Aoyama and all other brilliant Japanese minds like Hayao Miyazaki (acclaimed maker of animated feature films such as Princess Mononoke, Spirited Away, Howl's Moving Castle, and his most recent work Ponyo) are alive and well so they can continue to do what they do best. And of course, I wish the same for the rest of Japan too. Here's another thing that's Japanese: origami. 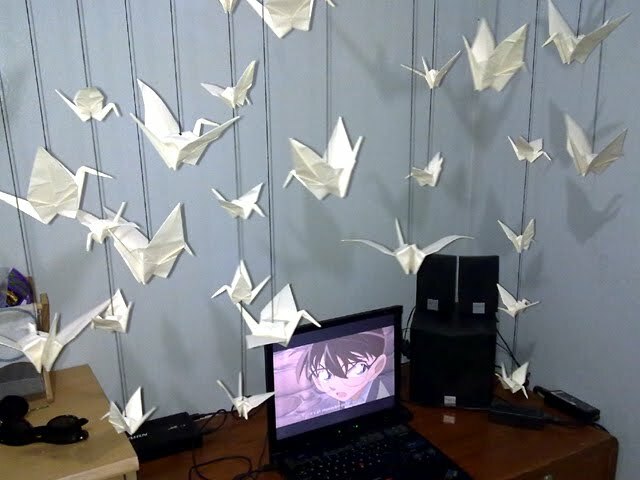 I've been wanting to recreate in my bedroom this scene from the TV series Heroes where time traveler Hiro Nakamura convinces Charlie Andrews, the girl with eidetic memory whom he loves, of his powers by filling the diner where she works with a thousand hanging origami cranes. Unfortunately, this is the best I could do. Or at least the best I could do so far. Please, someone give me a job already before my room gets completely redecorated. Hindi naman. I just happen to love books and reading. And I know other people who own and have read so much more! Ganda ng paper cranes. Makagawa nga. Ipo-post ko sa blog ko ha pag-nakagawa na ako ng maraming paper cranes na yan. 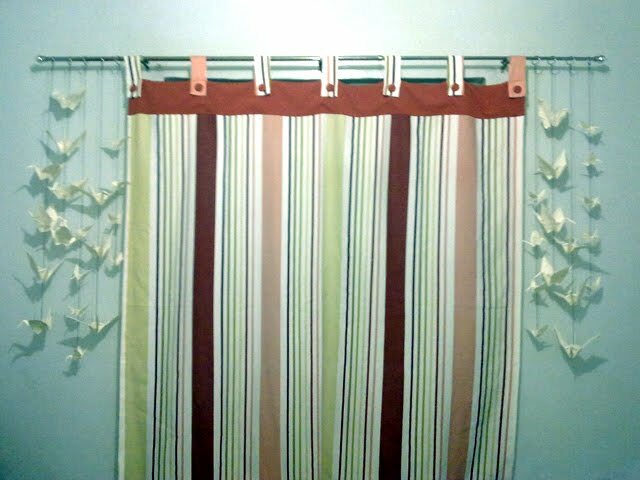 hahaha Isasabit ko sa room ko. Weeeee!!! Well, go read them now! 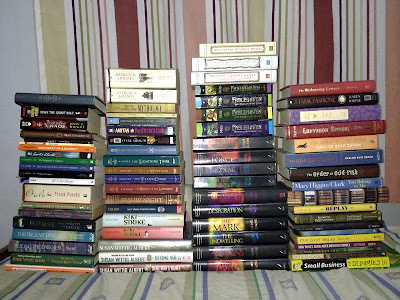 Baka mas malala pa sa unreadpile ko 'yang sa'yo. And yes, post photos! Looking forward to seeing your flock of origami cranes! can i borrow some books? hahaha. may naaninag ako na mythology book (?) very bookworm. keep it up! I'm rereading Edith Hamilton's Mythology right now. One of my favorite books. Thanks! If distance isn't an issue, sure! Which books are you interested in borrowing?